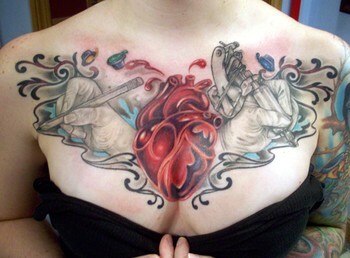 Tattoo Blog » Julio Rodriguez: Makin’ It Work. 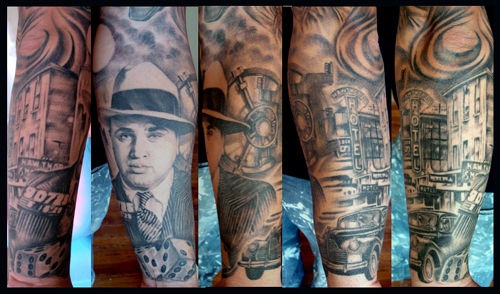 Tattoo Blog » Inspired » Julio Rodriguez: Makin’ It Work. Julio Rodriguez: Makin’ It Work. When researching artists to interview for Tattoo Blog, every once in a while I get the pleasure to meet some really talented and down to earth people. Julio Rodriguez is one of those special people. His talent is self evident from the few examples of his work here. You have to check out his on-line gallery to appreciate just how versatile he really is. The man himself is just as caring in his character as he is in his art. Julio learned his art from the heart by taking art classes throughout his years in High school, and taking advanced courses in art during the summer. 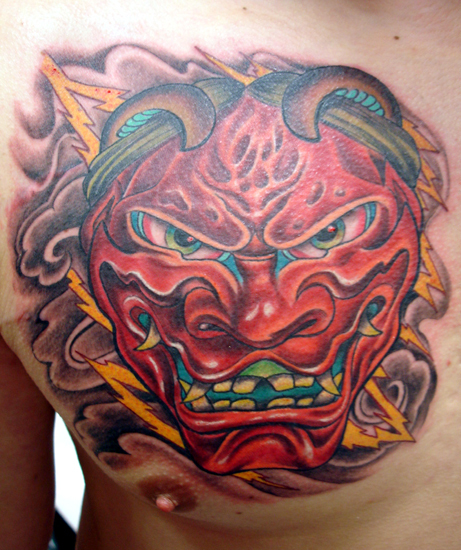 This, of course, shows in his understanding of art, but he sights his biggest influences in the art of tattooing as being all of the fine artists he has had the privilege of working with through out his career. By the time Julio was seventeen he knew he wanted to be a tattoo artist. He collected every thing he could find that had anything to do with tattoos. Not only the trade magazines, but Easyrider, and even National Geographic. As long as the magazine, or book had people with tattoos in their pages, Julio would make it his. Now, I’d be willing to bet that is one impressive collection. Julio down plays his achievements. It’s part of his humble nature and I hope I don’t embarrass him too much by singing his praises, but, damn it I like his work! 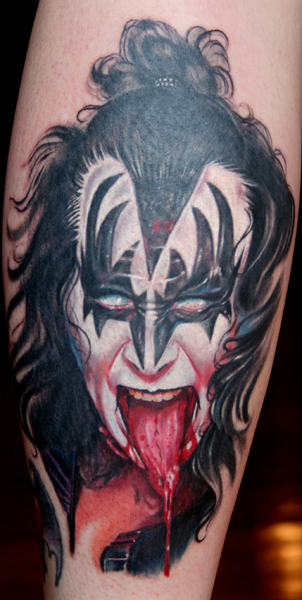 Check out Julio, as well as Joe, Eric, Tim, and Phil at their website, hopegallerytattoo.com. I’m certain you won’t be disappointed. Julio books appointments a couple of months at a time, and can also be reached for appointment at his e-mail; jrodshope@aim.com. If you happen to be in the Connecticut area, or are just looking for some killer ink, shoot Julio an e-mail. You won’t regret it. All images ©by Julio Rodriguez, All Rights Reserved.